Russia was banned from the Olympics because of a massive doping scandal at the 2014 Sochi Games. 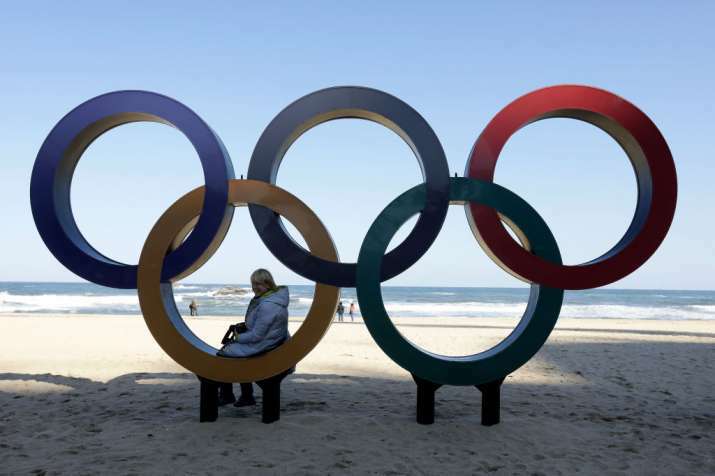 Image Source : GETTY IMAGES A representational image of Olympic rings. Russia's ban from the Olympic movement was lifted on Wednesday despite two failed doping tests by its athletes at the Pyeongchang Winter Olympics. The decision by the International Olympic Committee appears to be an attempt to draw a line under the state-concocted doping scandal that tarnished the 2014 Olympics in Sochi. The IOC allowed more than 160 athletes it determined were clean to compete in Sochi as "Olympic Athletes from Russia" in Pyeongchang earlier this month with a prohibition on the national anthem or flag in venues. "I would like to thank our athletes who were able to perform well even despite the provocations," Russian Olympic Committee President Alexander Zhukov said in quotes carried by the TASS news agency. "I thank the fans who did not cross the line and what could result in sanctions. Today's IOC's decision is very important for us. The ROC is an absolutely full-fledged member of the Olympic family." Russia also complied with its financial sanctions last week by paying $15 million to pay for the IOC's two investigations into the scheme and toward future anti-doping work.